The 124th release on Tash’s Movement Recordings welcomes Audiostorm to the label for his debut EP. Hailing from Montenegro Ognjen Vuković aka Audiostorm has been a staple of the progressive house underground since 2012. With a discography of nearly of 150 releases highlighted by appearances on Hernan Cattaneo’s Sudbeat Music, Baroque Records and Sound Avenue. 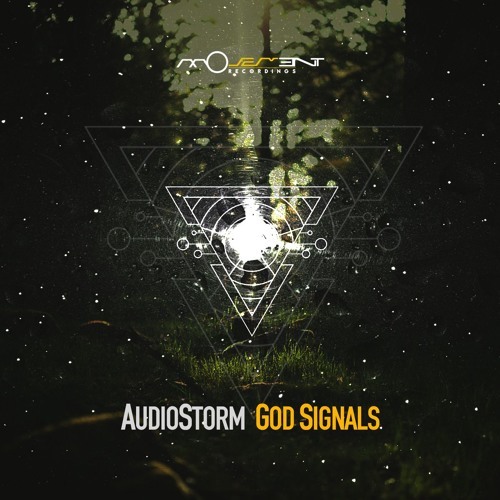 Now as the second quarter of 2016 is upon us we find AudioStorm making his much anticipated Movement Recordings debut with the three track EP ‘God Signals’. The release begins with its title piece ‘God Signals’ and finds Audiostorm crafting a tough yet dreamy progressive cut. It’s driving groove is undeniably hypnotic while an ethereal vocal loop only adds to its mesmerizing nature. As the vox slowly dissipates a ragged synth hook and scattered drums carry it into a stripped down section, where a more distinct melodic theme gets presented. As gleaming keys get layered over the lush textures a short break transpires, perfectly setting up a swirling apex and massive pay off, as the melodies get washed away in favour of the rolling vocal loops. A gorgeous production from Audiostorm and great start to the EP. The second selection ‘The Eye Of The Beholder’ comes in deeper and groovier all while keeping the wonderful design profiles of the lead track. Anchored by a chunky, spacious groove it doesn’t take long for the dance floor sensibility of this one to grab a hold of you. Trailing effects and long gaseous sweeps make for a tripped out environment as Audiostorm methodically adds layer after layer of drum elements, each one adding a wonderful cadence to the mix. As a gated vocal pierces the air the main break commences amidst a trail of sonic dust. Although quite brief, a melancholic lead gets presented, preceding a third act which culminates with lush pads delivering a goosebump worthy moment. The EP concludes with ‘Antipropaganda’, a darker more techno inspired piece, which complements the two previous selections quite nicely. Following a long, DJ friendly intro Audiostorm’s punchy kicks slowly gets surrounded by ominous motifs and haunting effects. A quick drop introduces a crunchy synth hook, adding grit and character before leading the track into a dramatic break. Fuelled with claps and drum fills, the tension mounts quickly before a third act of deadly stabs seals the tracks brilliance. A powerful way to round out the EP which may sit as Audiostorm’s best ever work. Don’t miss it.